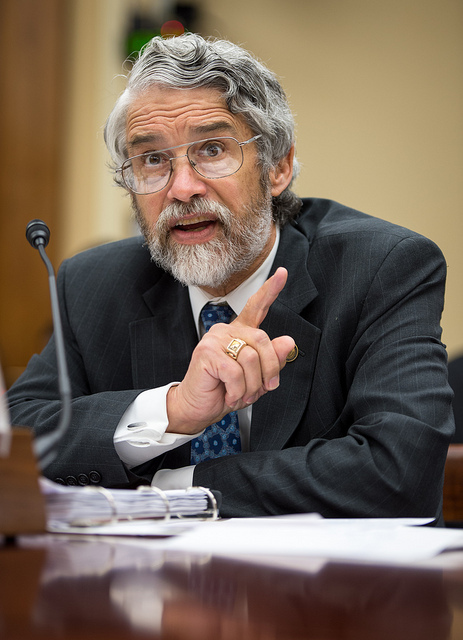 Dr. John P. Holdren, White House Science Adviser, appeared before the Republican-led House Committee on Science, Space and Technology on Wednesday to talk about President Obama’s plan to fight climate change. Much of the discussion centered not around the details of the plan but the reality of climate change. Dr. John Holdren is Assistant to the Pres­i­dent for Sci­ence and Tech­nol­ogy and is Co-Founder of the Energy and Resources Group. See the full story in Climate Progress here.